HA Motorsports OBD2A to OBD1 ECU jumper harness for installing an OBD1 ECU into an OBD2A Chassis. Uses all new OEM connectors for OE quality fitment. 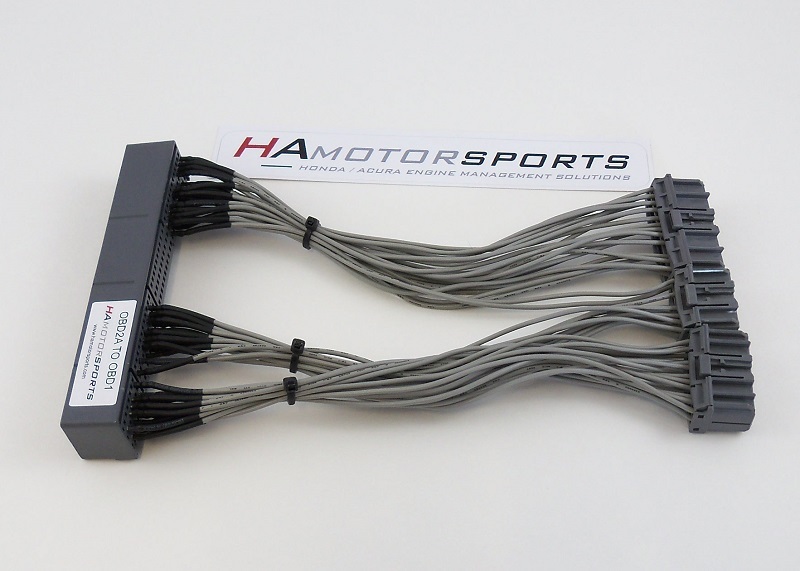 HA Motorsports ECU jumper harnesses are constructed using cross-linked automotive TXL wire that exceeds OEM specifications and is extremely durable. 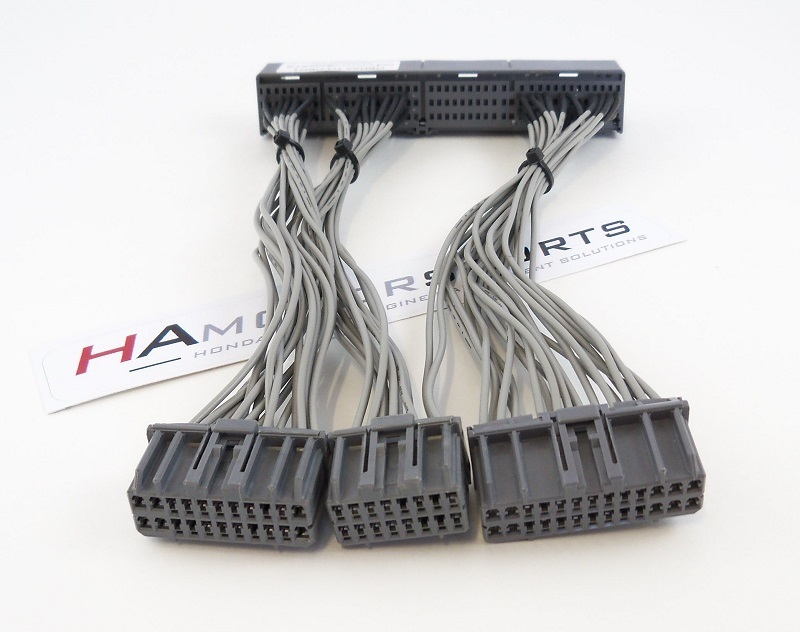 Allows painless conversion from an OBD2A ECU to an OBD1 ECU.